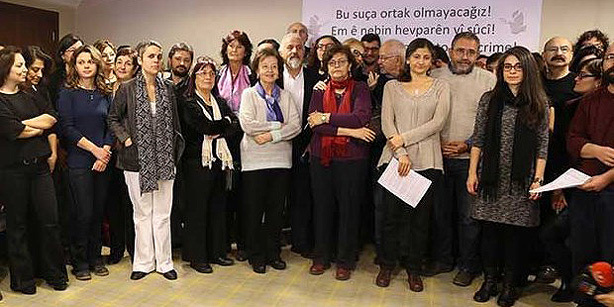 The government in Turkey has launched a campaign of repression against academics who signed a petition in support of a peace in the Kurdish regions of that nation. In January, Turkey’s President Erdogan denounced signers of the document as traitors and his government has launched arrests, interrogations, and a broader campaign of intimidation that has targeted academics across Turkey. According to the Middle East Studies Association of North America, “…within two weeks of the president’s statement, one reputable academic network in Turkey reported that 39 academic signatories had been detained and interrogated, 109 subjected to disciplinary investigation and 29 removed from their positions.” Since then, however, the numbers have risen further. The statement from the Middle East Studies Association that was issued on Monday, February 22nd is up to date and includes an appendix with detailed information on both official and unofficial forms of intimidation. To read it, click here. It is urgent that academics across the world speak out in opposition to this campaign of repression. Many organizations have written letters or organized petition campaigns. To view statements of solidarity, click here and here. That last site is valuable for keeping up with developments in Turkey.